So, March Madness has come upon us. I know that is mostly related to College BeeBall, but Jonn and I cannot dedicate ourselves to a sports anime to review this time around, or really ever (sorry, but trying to watch all of Slam Dunk with no compilation movies in a month is a herculean task that is far too great for us to handle). So, we decided to keep things a bit simple, as we found our zone of focus for the next few episodes, and i’m talking about Megazone 23. There isn’t a need for time codes this time, since we only get to focus on one anime for a change. Right off the bat we dive right into discussing pretty much everything about what is in Megazone 23 Part 1, and what we can try and make sense of in terms of the story about halfway into the OVA. 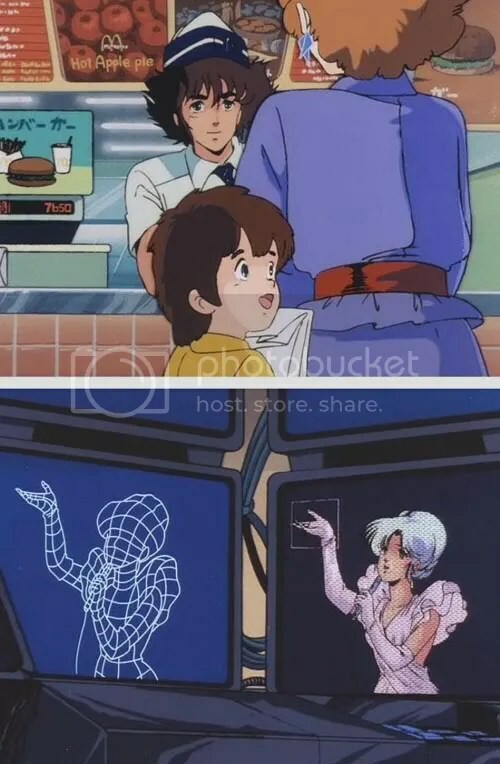 We of course stray off topic (or really dig deeper) to talk about Robotech: The Movie and how that connects to the Megazone 23 anime. We also mention the other Megazone 23 OVA’s that we will get around to do reviewing (and try not to spoil too much), the differences in each of the dubs for the Megazone OVA’s, how we found out about Megazone 23, and general Robotech talk. We also finish things off in talking about people who are no longer with us that I bought my anime from, people we know on the internet, (SPOILERS) what could be our tentative podcast schedule for the next few episodes, Zeonic taking a trip to land of the rising sun, and much more. I should also point out, I recently heard the ANN Cast episode where they interview Carl Macek. I (and the rest of the internet) are wrong as to why Robotech The Movie failed. The real reason according to Macek: Robotech The Movie did really well in the test audiences in Texas and not everyone hated it. What pulled the project was Cannon Films getting cold feet on their end and not letting it go to all the theaters it should have, plus they went under financially at the same time. You can find more info about that about the last 30 minutes of the interview. This entry was posted on 03/14/2014 by zeonicfreak. 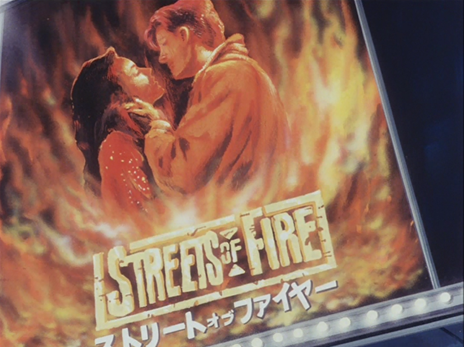 It was filed under Anime, Movies, Other, Reviews and was tagged with Anime World Order, let's anime, Megazone 23, Orion Home Video, OVA, Robotech Movie, Streamline Pictures, Streets of Fire. I’ve only seen the subtitle version of Megazone 23. Maybe I’ll go rewatch it sometime with one of the English dubs and see how that is. I don’t remember hating Megazone 23, maybe it was the dub that’s bad or maybe I should try to watch it again and see what’s up with that. Robotech is another thing I’ve yet to see all of. When I was a teenager I rented an entire season of Robotech, but I rented whichever season that used mostly the Southern Cross material. I didn’t know better about what Robotech to watch or where to start then but it was pretty fun. 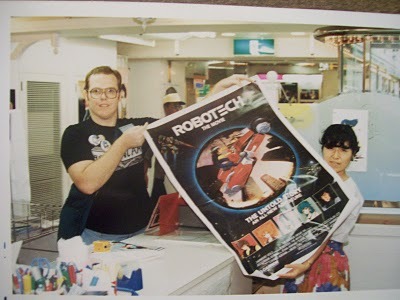 This was after the Robotech video game that came out for PS2 and Gamecube. That was one of my first experiences with Robotech outside of Toonami’s Giant Robot Week. I chuckled a bit at the Robotech Mark and Becky dub names. That’s gold. They wanted to sell import Famicom games for THAT much money? That’s really hilarious because used games in Japan are sold for next to nothing. Matter of fact, import game collecting is way cheaper than American retro game collecting, as far as I can tell. I would say if your going for a dub version of Pt 1, the Streamline dub seems to be the better option. 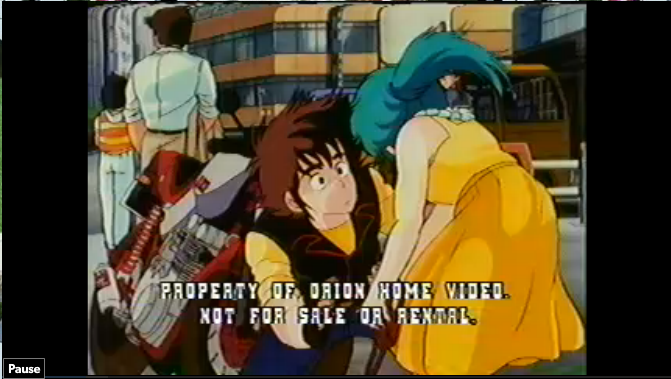 I guess if anyone out there wants a “true” translation from the OVA to english, then you got the ADV dub. I should see the ADV/Vic dub one day, but from what I sampled…. im better off with the Streamline version. I heard of Robotech before the Vicious Cycle game came out, but didn’t know anything about it till I really played the game. My first exposure I think was at a friends house who bought the first Robotech DVD from an EB Games (you know, way before they went to crap and GameStop took over) and I saw the first 4 episodes that way. All I remember is Capt. Gloval giving the best Harmony Gold swear word to describe a situation, and that was “THUNDERING ASTEROIDS!” I believe we have mentioned before when they aired the Robotech episode on GRW with no vocal track and just background. Yea, I have no desire to go back to that place unless something happens or if I know about those Storage sales. I’m pretty sure if that’s the case someone out there will find the value in the guys stuff. I guess i’ll have to see about that.